Paul Rybak is a professional Painting services contractor and interior design consultant, committed to providing prompt service and the highest quality craftsmanship. This is achieved through strong teamwork and a rewarding work environment, while always conducting our floor sanding and painting services business to the highest of ethical standards. 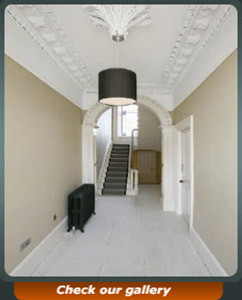 To provide a quality and value for money painting services / decorating service to homes and businesses across Ireland. Professionalism, Performance, Quality craftsmanship, Customer satisfaction, Teamwork, Innovation. 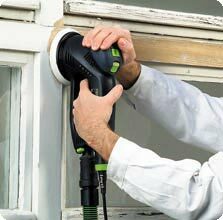 The range of Festool power tools we use on site have an integrated dust extraction system to stop dust where it starts for maximum performance and a pleasant dust free environment.Festool is “Made in Germany” and a brand like no other. More than 80 years of experience in the manufacture of power tools is not only the proof. Time and time again Festool has developed solutions that both satisfy the toughest demands and offer additional benefits. Health and safety: An efficient dust extraction is as important as the air you breathe. The only reliable solution for protecting your health, keeping your workplace clean and achieve precise results (due to clear view to the working surface) is a powerful, efficient dust extractor from Festool. Festool always pledges to manufacture electric power tools that are not only reliable and robust, but also lightweight, safe and easy to operate. 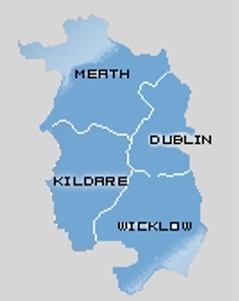 Dublin city | Dun Laoghaire-Rathdown | South Dublin | Fingal | Meath | Kildare | Wicklow | Dublin Airport • Malahide • Portmornock • Ballymun • Darndale • Kinsealy • Finglas • Santry • Baldoyle • Coolock • Clonsilla • Dublin City University • Beaumont • Kilbarrack • Sutton • Edenmore • Howth • Howth Summit • Blanchardstown • Whitehall • Artane • Raheny • Glasnevin • Carpenterstown • Castleknock • Cabra • Drumcondra • Killester • Dollymount • Ashtown • Lucan • Phibsboro • Fairview • Clontarf • Palmerstown • Islandbridge • Chapelizod • Cherry Orchard • Kilmainham • Irishtown • Ballyfermot • Ringsend • Inchicore • Dolphin's Barn • Ballsbridge • Neilstown • Ranelagh • Sandymount • Drimnagh • Harold's Cross • Donnybrook • Clondalkin • Rathmines • Crumlin • Citywest • Walkinstown • Rathgar • Clonskeagh • Booterstown • Milltown • Blackrock • Greenhills • Terenure • Churstown • Mount Merrion • Monkstown • Kilnamanagh • Tmpleogue • Goatstown • Stillorgan • Dun Laoghaire • Rathfarnham • Tallaght • Dundrum • Kill o'the Grange • Firhouse • Jobstown • Ballinteer • Leopardstown • Deans Grange • Dalkey • Sallynoggin • Ballyboden • Sandyford • Foxrock • Cornelscourt• Ballybrack • Oldbawn • Stepaside • Killiney • Tibradden • Cabinteely • Carrickmines • Shankill • Bray.